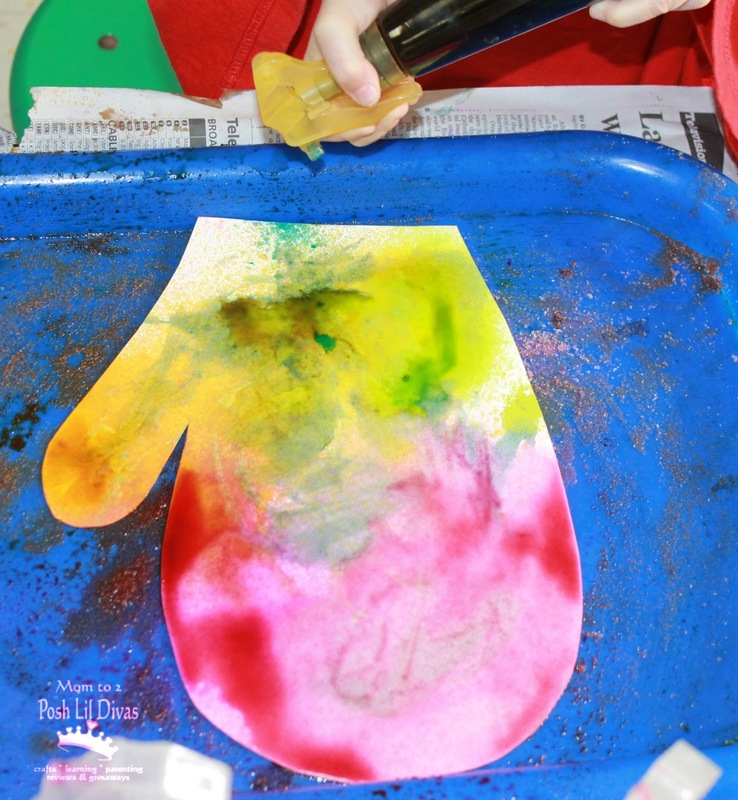 As part of our winter theme we were exploring mittens one day in preschool. 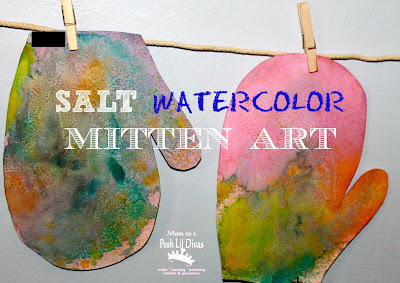 We had fun matching mittens, making patterns with mitten stickers and doing some fun salt watercolor mitten art. My preschoolers love to paint and they really love to use spray bottles so I thought it would be a fun way to design our mittens. It can get a bit messy but they really enjoyed it. We used trays to work on, covered our work space with old newspaper and wore old t-shirts as smocks. Most of the children ended up making numerous mittens because it was so easy and fun. 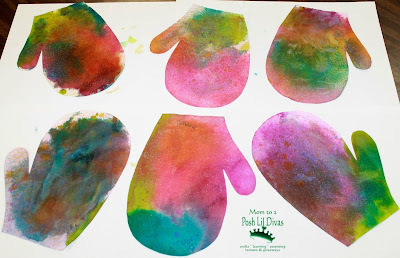 I cut out a large mitten from card stock and used spray bottles (dollar store finds) filled with liquid watercolor and water to dilute it a bit. A little goes a long way. 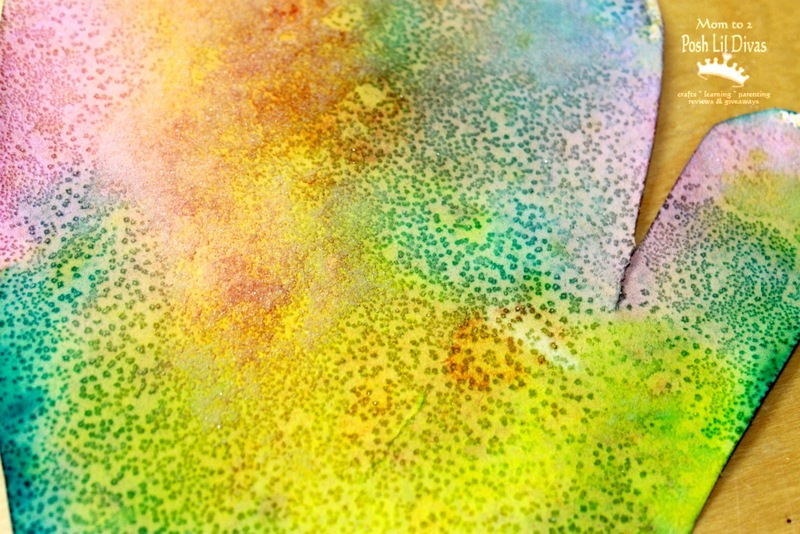 You could also use food coloring if you don't have liquid watercolors on hand. 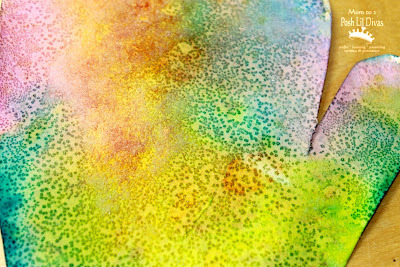 Once the children had sprayed the watercolors to their liking, they sprinkled salt over their painting. We let the salt sit on the mittens until they dried, then I shook them out. Some salt remained on the mittens but lots of it fell off, revealing some really fun effects underneath. 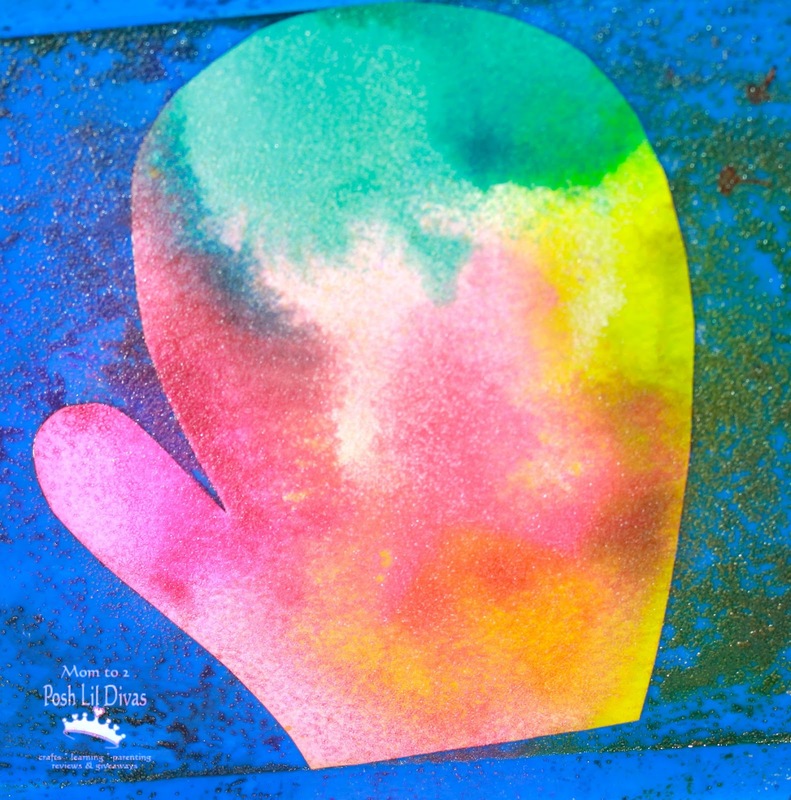 Between the spray painting and the salt our finished mittens had fabulous texture and wonderfully unique spots of color. Have you tried adding salt to your paintings yet? 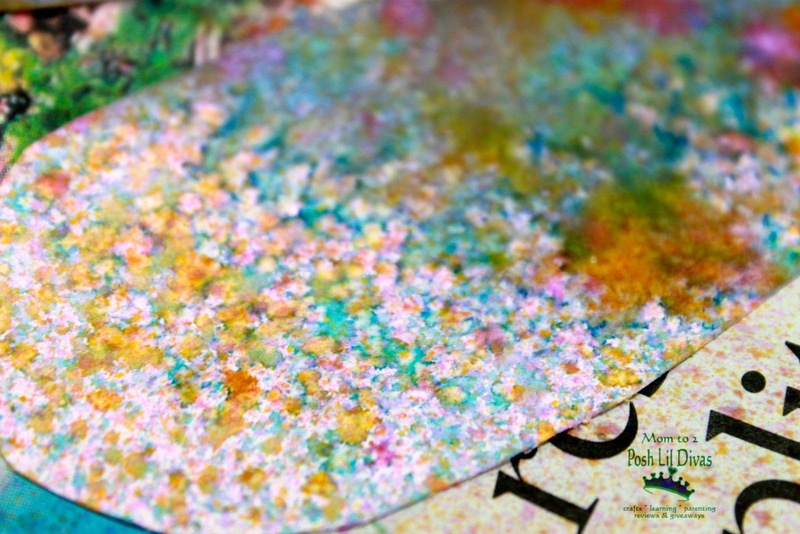 We love the efect of salt on watercolour - we've been experimenting with different kinds of salt to see how it changes. Oh, Erin does it make a difference? I'd love to know. Shannon, we just did that last week. I hope to share it on the blog soon - so much fun, isn't it? Thanks for sharing. Gorgeous! I love watercolor art with salt effect! So watery looking! ok, i am loving this. going to try this today with my little guys. now, i am off to buy some liquid watercolor!